Home / #AfghanistanHell / #Terrorism / Afghanistan / Blast / Blasting / Terrorism / #Afghanistan Hell : Suicide bomber kills 50 in Kabul ! #Afghanistan Hell : Suicide bomber kills 50 in Kabul ! 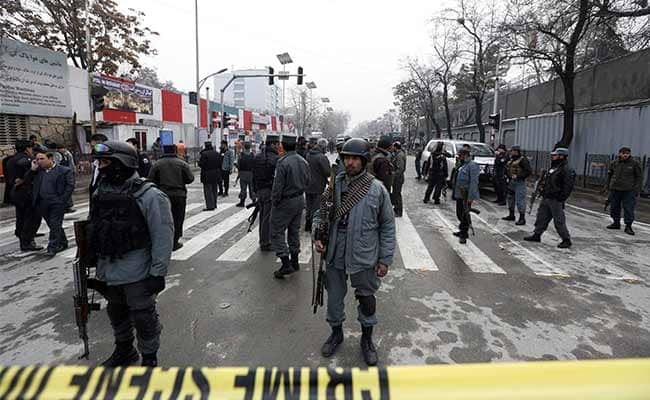 A suicide bomber blew himself up in a banqueting hall where Islamic religious scholars had gathered in the Afghan capital Kabul on Tuesday, killing more than 50 people, three government officials said. Najib Danish, a spokesman for the Interior Ministry, said more than 80 other people had been injured. "A suicide bomber detonated his explosives inside a wedding hall where Islamic religious scholars had gathered to commemorate the anniversary of the Prophet Mohammad's birth," Danish said. The attacker entered a banquet room in the Uranus wedding hall, a massive complex housing several large banqueting halls near Kabul airport, and detonated his explosives. "Hundreds of Islamic scholars and their followers had gathered to recite verses from the holy Quran to observe the Eid Milad-un-Nabi festival at the private banquet hall," said Basir Mujahid, a spokesman for Kabul police. Officials at Kabul's Emergency Hospital said 30 ambulances had rushed to the blast site and over 40 people were critically wounded. There were no immediate claims of responsibility for the blast.